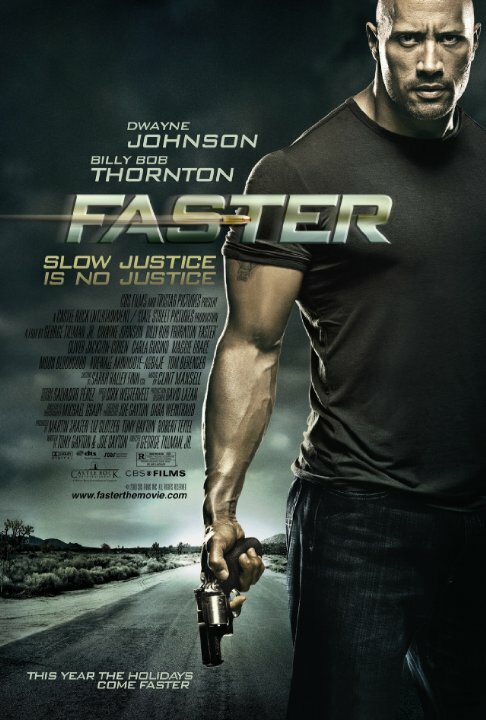 For a movie called 'Faster', it's pretty slow. Doesn't deliver much on action or thrills. Standard film, with a very simple plot thats capped off by a twist ending. Mediocre. I predicted how this was going to end about 10 minutes into the movie, but that didn't prevent me from enjoying the ride. I learned one thing: don't make The Rock angry - between this and Fast Five, the man is scary. Scary and huge - and, in this case, filled with revenge. It's action all the way, but decent action at that. Purely a simple movie of revenge, lots of action, and killing. Slight twist at end, but predictable. It was an engaging movie, worth seeing, but nothing to write home about. No posts have been made on this movie yet. Be the first to start talking about Faster!